Hi Everyone, What a sweet night! First thing after dinner I had dessert and then told myself no more eating after 6pm because night snacking is getting me into major trouble! So I decided to go to Petsmart with my Husband and dog and then run to Trader Joe’s to pick up just a few items. When I got to Trader Joe’s the lady at the food sampling counter, said Pssst, come here! Do you want to try something new? She said she was testing it for the workers, but you should try these. Who am I to say no to Trader Joe’s? She placed on a plate a full size, sweet, chocolaty bar and I took one bite and almost melted! OH.MY.GOD!!!!! It is Trader Joe’s new Blondie Bars. I’m not telling you to go out and get sweets since this is a healthy food blog, but get them, get them now! Eat them, enjoy them!! Holy Crapper Dapper Dooos!!! This bar was so good!!!! Let me tell you one more time, GET THEM!!!! I bought them and will be making them tonight for my Husband to take to work and of course I’ll save one or two or three for me! he he Ok, so then I go to the counter with my basket of food and the Guy getting ready to ring me up said go to the frozen food aisle and on the left is a box of Chocolate Covered Smore’s, get them now!!! Ok, there pushy tonight!! So I go get them and brought them back to him, he opened them and said now have one. Ummm, ok! Dam it! Those were good too!!! Then he said have another! I said no, he said come on. Ok, I ate two!! Then when I was leaving he said take one for the road, I said I couldn’t and I didn’t! That was will power! What was up with Trader Joe’s tonight? I never shop in the evening, but now I think I have too!! The sweets tonight made me hyper, but I like it. That’s not a good thing!! Now I’m sitting here typing this with a cup of decaf because I needed something to drink since I had all that chocolate. I don’t think I have consumed that much chocolate in a long time. I have to laugh, my Husband asked what took you so long, then I told him what I just told you. He just shook his head. What I like chocolate and I like TJ’s. I was excited to try something so darn delicious that it made my toes curl. I know, I know, I am so weird!!! That’s what happens when you stay away from sweets. So much for eating healthy tonight! I’ll be on track tomorrow! So back tonight’s dessert! 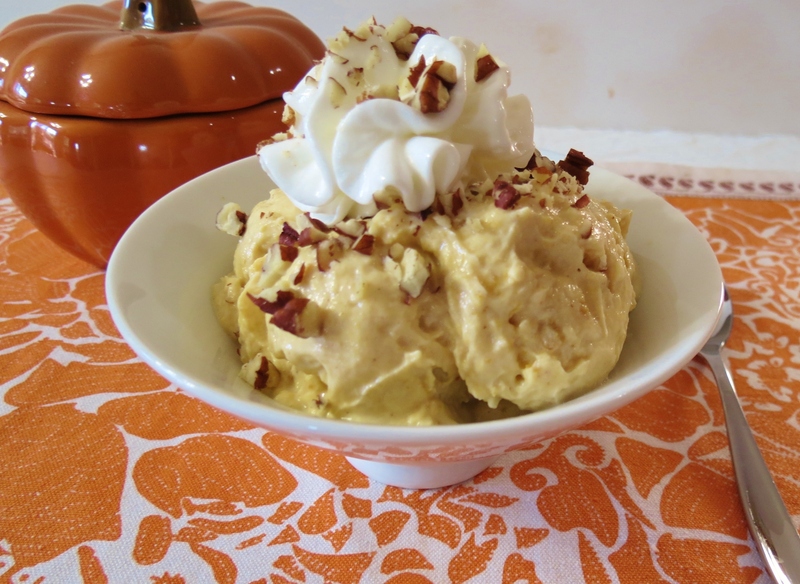 This is my version of Pumpkin Frozen Yogurt! It’s so gooooood!!! It tastes just like pumpkin pie. It’s sweet, creamy and hella good!!! I have been wanting to make this, but I just haven’t. I honestly don’t know what took me so long? If you like pumpkin pie, and you like healthy, you will like this dessert. Just look at how creamy it is. This is so simple to make! All I did was take 1 cup greek yogurt, I used Trader Joe’s because I was out of Chobani, It’s only 120 calories a cup. Then I added vanilla extract, 3 heaping tablespoons of canned pumpkin, pumpkin spice and one packet of stevia. Threw it in my freezer for a little over an hour. Mixed it up and I got a delicious bowl of frozen yogurt. I told you before I have this almost every night for my dessert instead of ice cream, its way healthier!! 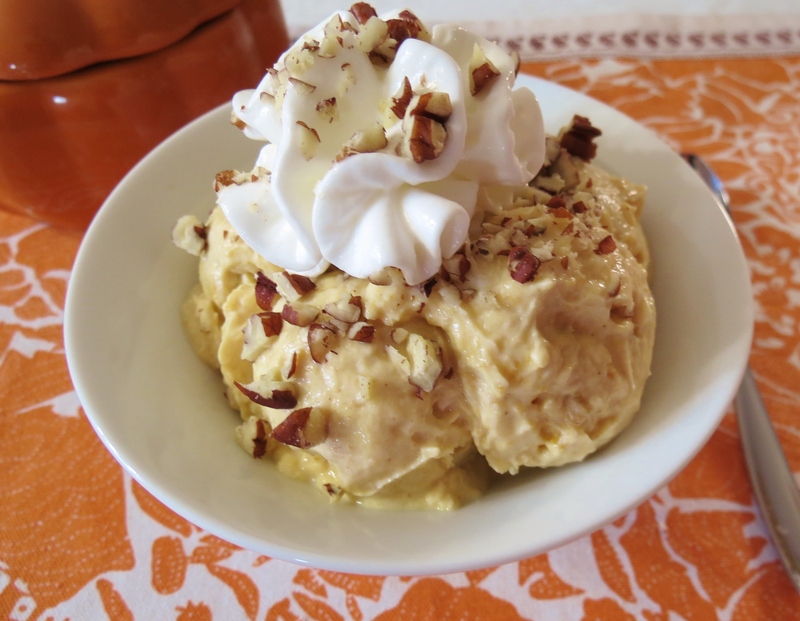 I decided that my dessert needed to be dressed up with some whip cream and two chopped pecans. You know me and my whip cream!!! It was the perfect touch to my pumpkin treat!! The calories for this whole bowl not including whip cream, but including the pecans was only 182 calories. Not bad for Pumpkin Frozen Yogurt! 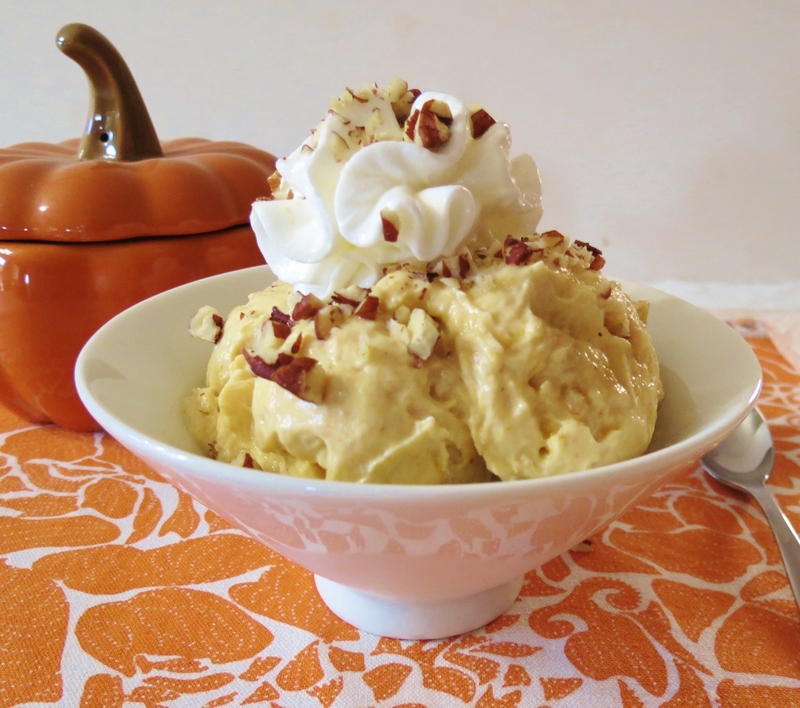 I haven’t seen pumpkin ice cream for under 250 calories for a half a bowl. Here you’re getting over one cup and 24 grams of protein, plus 4 grams of fiber. Not to shabby!!! 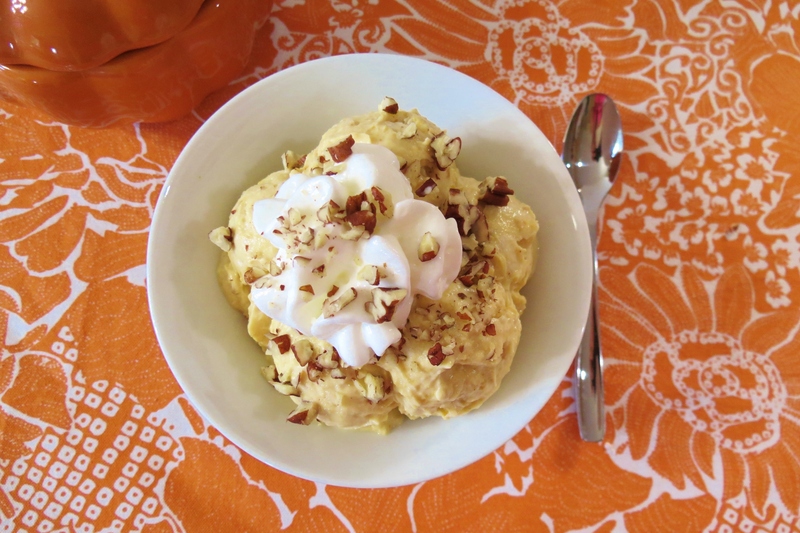 A sweet, creamy, healthy frozen yogurt that tastes like pumpkin pie. Place all the ingredients (except the pecans)in a shallow freezer safe dish. Mix until combined. Place in the freezer for 1 to ½ hours. Mix until smooth. Place in a bowl and top with pecans. Now that Fall is almost here, it seems the warm weather is upon us. Today it hit near 90 and it’s suppose to be in the mid 90’s by the weekend. I guess that means lots of frozen desserts for me. I’m not going to complain about that! 🙂 I wanted to let you know that my blog has been running slow and I know a lot of people have told me it says error connecting. I’m sorry for that. I optimized my blog but it’s still running slow. It seems my webhost server can’t handle my traffic, meaning I have to look for a new self hosting website to host my blog. Remember my nightmare I told you about yesterday? I am terrified that I will go through that again,so please be patient with me. I’m hoping to take care of this over the weekend. Well time for me to get ready for bed. I hope you have a wonderful day! P.S. 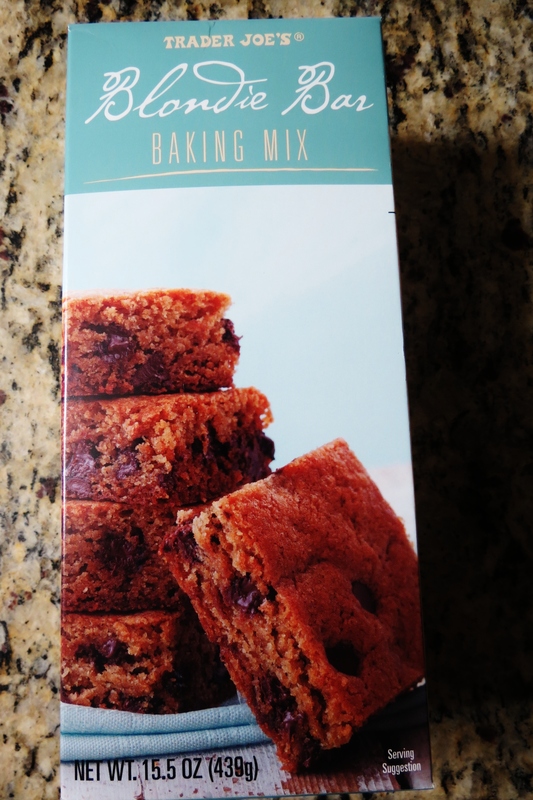 Don’t forget to enter my giveaway for the Williams and Sonoma gift card. Just go here! Blondies?? Chocolate covered smores?? Just two more reasons why I am OBSESSED with TJ’s. This frozen yogurt looks delish!! I know that Darn TJ’s!! Why do they have such yummy treats??? I think I just went into a Diebete coma reading about those Blondies and s’mores–two of my all time favorite desserts!!!!!!! And this looks soooooo good. I’m seriously ready for the end of summer and for fall to be upon us. In fact, I”m getting seriously impatient! I love the summer, but honestly I’m starting to look forward to Fall! There is just something about that season. Yah I just about went into a sugar coma when I had that blonde. It was amazing, but a treat, not something I can eat weekly. I”m happy to say though for being as sweet as it was, it was only 160 calories for a bar. I love pumpkin pie frozen yogurt! I always have to get it when we’re at a fro yo store. I need to try yours! 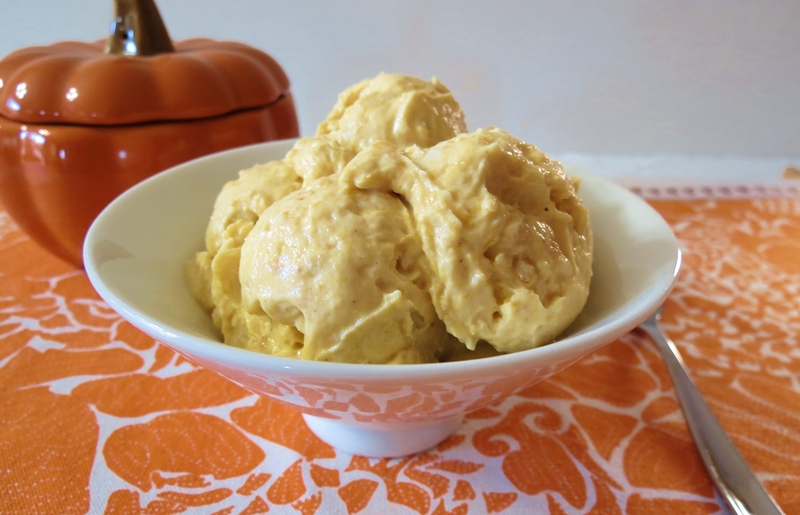 I love pumpkin frozen yogurt or ice cream! It’s so addicting this time of year!! Just freezing your yogurt worked. I think because you mixed it with the pumpkin. Nice. Because I tried freezing my Cho by its self and didn’t work. Gonna try this cuz its a delicious idea! I usually never use pre mixes but the mix from TJ sounds fabulous! 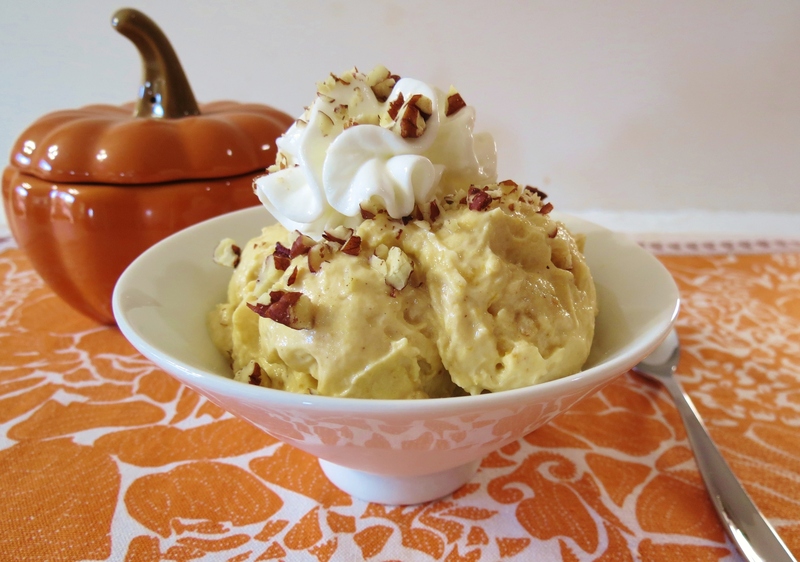 The pumpkin frozen yogurt is such a lovely idea, Jen! LOVE the story of Trader Joe’s. I go in the morning but now I might start going at night, hehe. This looks amazing! I haven’t ever made frozen yogurt but now I will. Thanks for linking up to Creative Thursday. Can’t wait to see what you’ll share next week. Thank you for having me!!! You must try the yogurt, it’s so easy and good, add whatever you like to it!! YUM! this looks amazing! We don’t have a Trader Joe’s so I will just have to be jealous 🙂 Found you via Amee’s Fit & Fabulous Fridays! This recipe is a perfect fit for our snacks. I’m really looking forward to making this. It will provide a nice variation from the chocolate yogurt mousse I make all the time. A followup to say that I made this tonight and it was a hit. Great flavor. I will be making this pretty regularly. I did not have time to freeze it long enough, but that was just a minor detail. This recipe is definitely a keeper. Hi Susan! Sometimes I don’t freeze mine completely, but it tastes great with a chill on it. 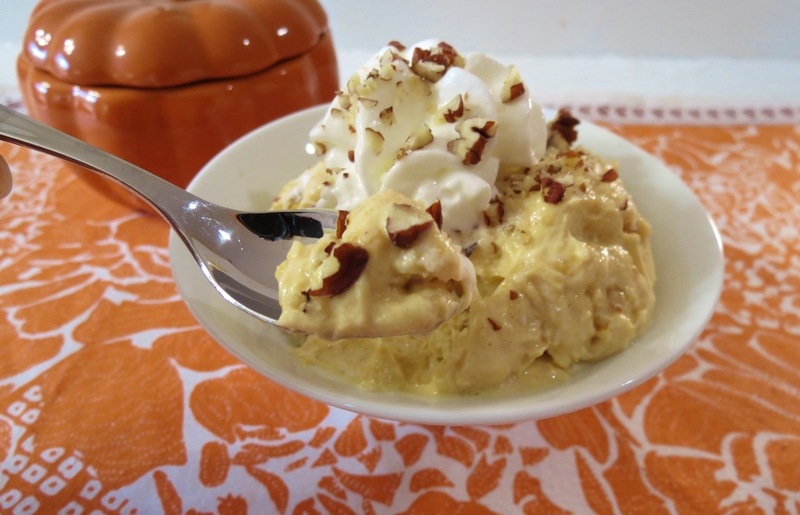 Glad you like it, it’s one of my favorite Fall desserts.